The Sunhouse Enclosure is a sleek, modern enclosure with several sliding options that enable the sides and ends to open up. This is perfect for swimmers who want to enjoy an ‘open-air’ swim when the weather is good. When the weather isn’t so good, simply protect yourself from the elements and close up the enclosure before taking your swim. Fitting an exercise pool in the Sunhouse Enclosure provides year-round swimming. 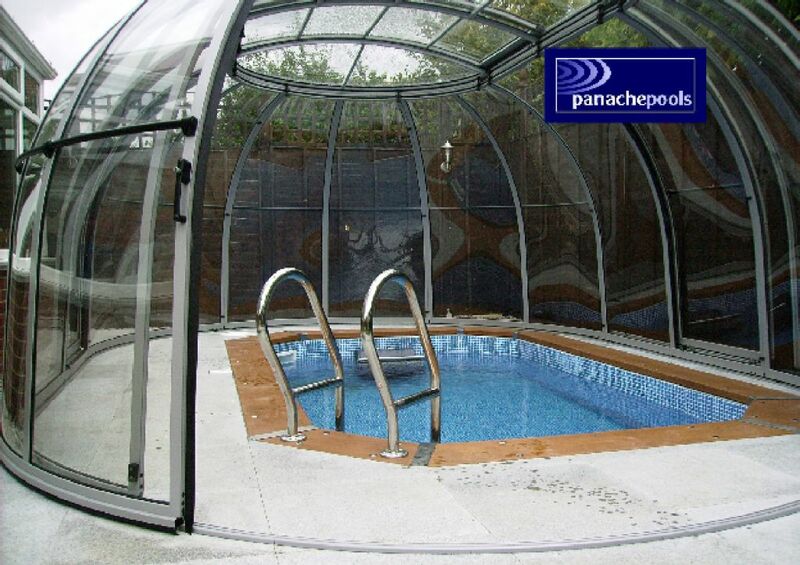 We’ll take a look at a typical Panache Pools’ exercise pool project that involved installing an Endless Summer Dolphin Sport Exercise Pool, fitted with an Endless Pools Fastlane Counter Current Unit and housed in a Sunhouse Enclosure. You will see in the photo’s that the space we had was limited. The area we had to fit the pool and enclosure was approx. 6.5 metres x 4.2 metres. The pool was fully in-ground so the hole had to be excavated and a concrete base laid. The timber walls were assembled; insulation, pipework, fittings and liner were fitted. 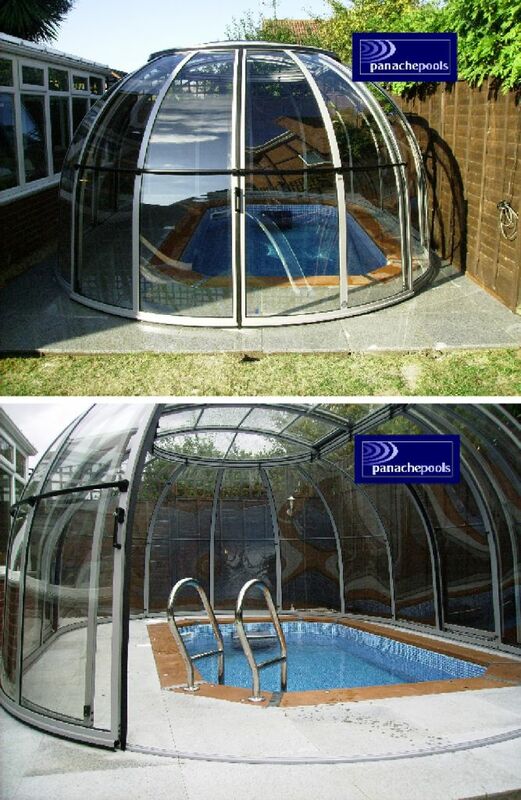 The Endless Pools’ Fastlane Unit was fitted and the pool surround was slabbed. The Sunhouse Enclosure was then installed and finishing touches applied to the pool…and there we have it; a fully enclosed exercise pool installed in the corner of a small garden. The whole project only took a matter of weeks. This project included the Endless Summer Dolphin Sport Exercise Pool fitted with an Endless Summer Fastlane Counter Current Unit. The enclosure is the Sunhouse Enclosure. 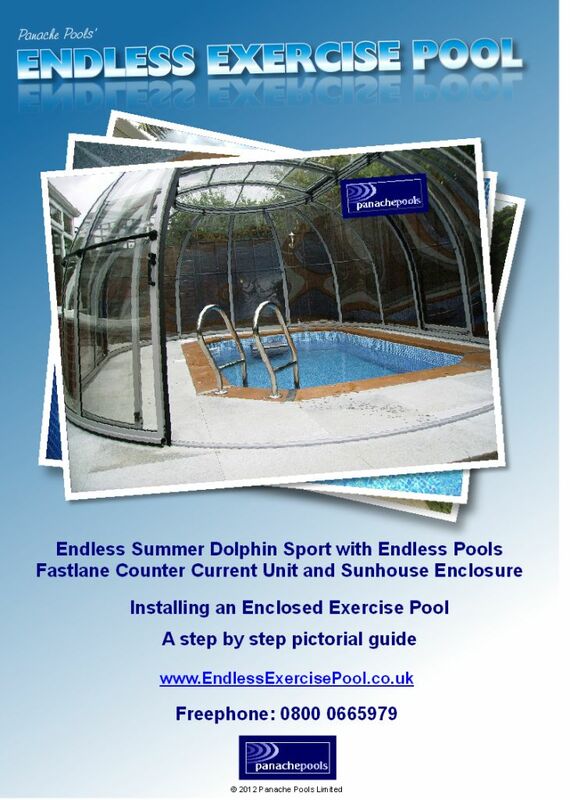 You can find out more about this installation and other exercise pool options at our dedicated website here – www.EndlessExercisePool.co.uk. We have also put together a detailed, step-by-step project guide. You can get a free copy here, or click the guide below.